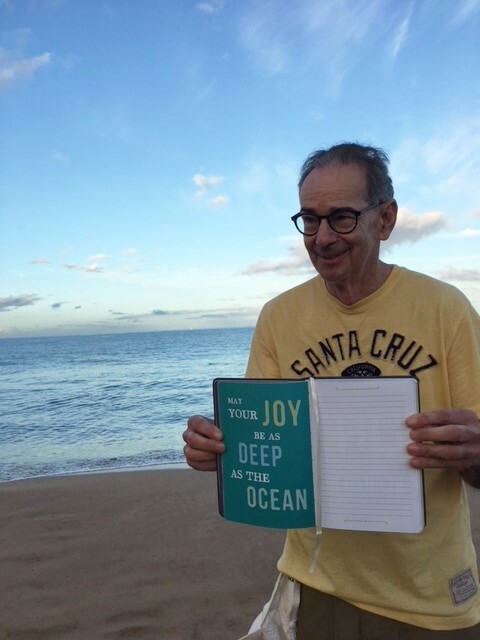 As I was struggling to hold this journal of mine with a beautiful quote to take a good photo of it …. I heard a voice that said … “would you like me to hold that for you?” I said “Yes, please“! Then I added, “Can I also take your photo with it?” He smiled and said “Sure“. This gentleman was with two of his friends and they too were walking on the beach like me. So nice of them to stop by to help me out …. 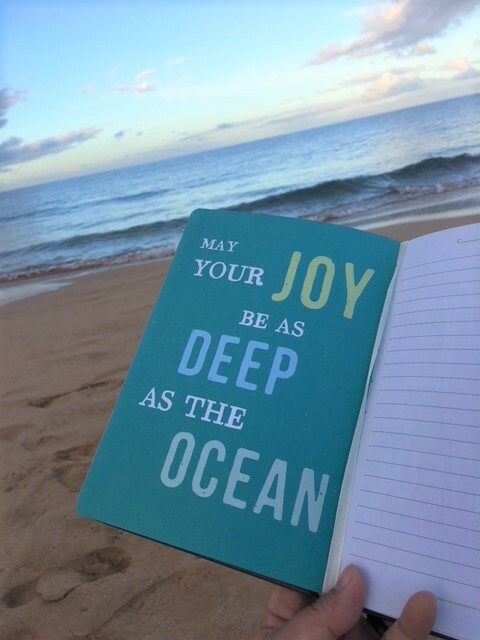 And truly … I hope that your joy will be as deep as the ocean …. That’s very cool! We’ve had similar things happen, too. The lovely thing about Maui is everyone is shown aloha no matter who you are! Oh my gosh… such a cool experience. (And he commented!) What a nice person!